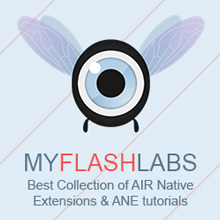 Flare3D is a real time 3D Engine for FLash optimized for web, games and animations. Flare3D bridges the gap between Autodesk® 3Ds Max® and Flash through an integrated explorer. Flare3D is a amazing engine!! I tested Papervision3D, Away3D, Alternativa3D , but when I tested Flare3d all my problems was resolved. Now i´m testing the pre-release 2.0 version with aceleration with GPU and is incredible!